With over 300 original & innovative designs to his name, what irons does Tom Wishon choose to play? Take a look & see for yourself! 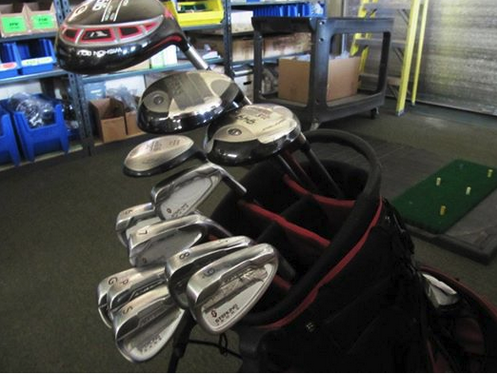 Sometimes people ask us about what to do about the rest of the bag once they have our Sterling Irons® single length irons. 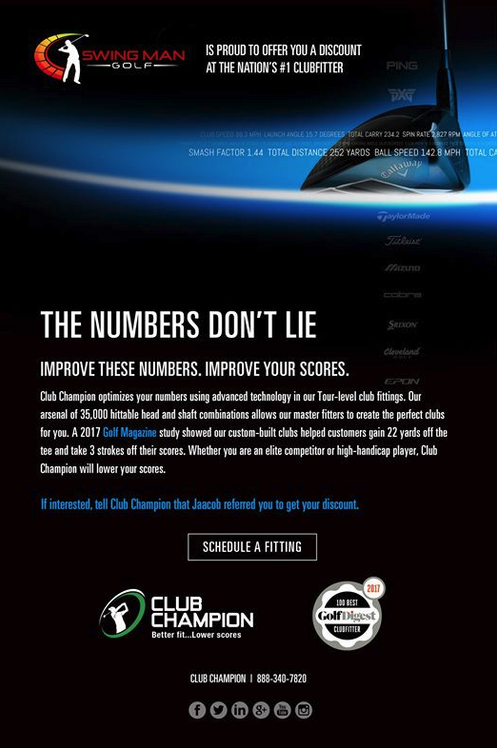 Here’s a great option to optimize your other clubs! “It has been an exciting time playing with my Sterling Irons®. It has been maybe 6 months or so and hitting the ball well. So here goes a new one for you perhaps. I was playing in a local course here in Daytona Beach, Florida Spruce Creek golf club for a charity event to raise money for local Catholic schools and literacy. On the tee box of the 10th hole was a sign describing the contest presented on the hole for the day. Note stated —- closest ball to the keg wins the prize so I thought challenge accepted. I used my GPS to get the 157 distance to the keg, grabbed my Sterling Irons® 6-iron, and said to the guys I was playing with ‘Watch this’! Great swing, great ball flight and low and behold the shot was absolutely perfect. As it was coming down I said —- it is going to be in the keg! Sure enough it landed exactly in the red bucket holding the keg!!!! I was so excited. My story now says I hit a “hole in keg” until that day comes when I can say hole in one!